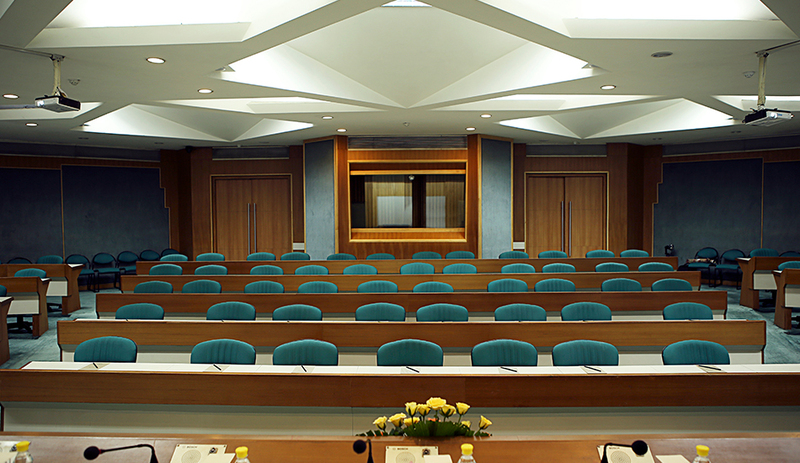 A large fixed seating hall with excellent acoustics and state-of-the-art multimedia facilities. Each table is equipped with a set of mikes. 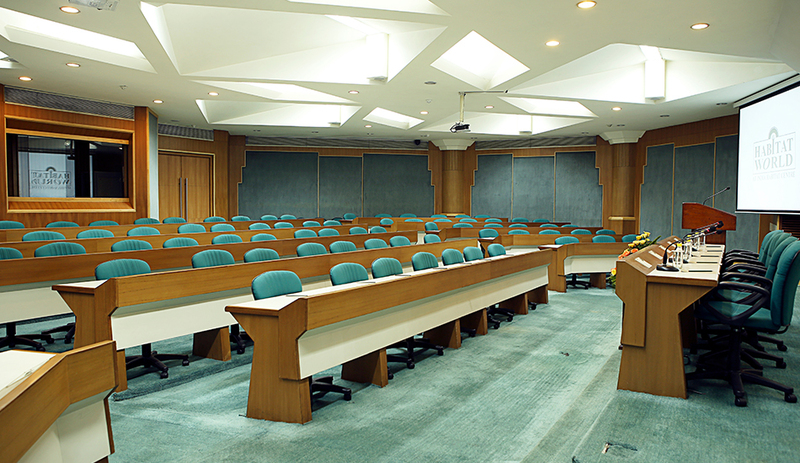 Ideal for large seminars, corporate presentations, press interactions, product launches etc.